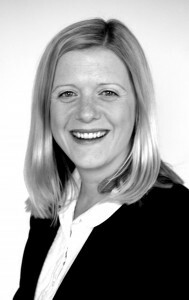 Sarah began her financial services career in 1997 when she was employed by Scottish Widows based in Edinburgh. She quickly progressed through FPC and moved into an advisory role as a tied agent with Aviva. Sarah then moved to Exeter in Devon to be closer to family and started working as a compliance supervisor for the Lighthouse Group. Here she dealt with IFA’s on a daily basis and identified that there was a definite gap in the services that the advisers were receiving from their networks. In 2008, Sarah started IFA Choice and has built up a large client base with clients from many of the national networks. She has a well qualified team of qualified Paraplanners who are all well on the way to achieving Diploma level certification. IFA Choice provides a comprehensive range of Paraplanning solutions, allowing you to spend more time with your clients and less time completing paperwork. Presale Letters and Suitability Reports – We can produce reports on all areas of financial planning including investments, pensions, protection, tax planning, EIS and VCT schemes. The service enables advisers to spend more time with more clients and less time stuck in the office.